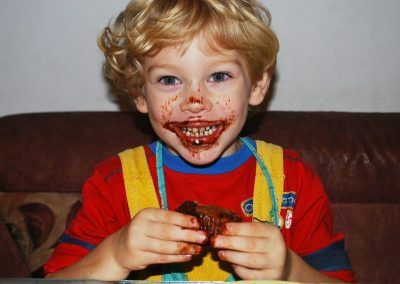 Effects of Chocolate to Your Teeth – The very mention of the term “chocolates” can make you drool and set your tongue on a roller-coaster ride! As the chocolate gradually melts in your mouth, you slowly get lost in the world of creamy delicacy. Do chocolates have adverse effects on our dental health? This is one question that dentists are asked persistently over the years. Whereas it is a fact that chocolates and candies are a challenge to resist and incredibly scrumptious there is no denying of the fact that feasting on chocolates and candies is not great for your dental health. They are known to be one of the major contributors towards tooth decay as they come with very high sugar content. Check the 5 cool tricks to convince your kids to brush regularly. It is alright to have them but only in limited amounts. In the same way it is also advised that you brush your teeth with water immediately after consuming them if you have not consumed it before your regular brushing time. It is true that is quite difficult to restrain from grabbing a bit of this delicacy all the time. But it is advisable that you go for the ones that clear out the mouth easily. You may go for having caramels, lollipops and cough drops as these comprise of refined sugar. This a universally known fact that sugar promotes bacteria and decay on the teeth. But whether chocolate, too, is one is not a proven fact yet. Check the 5 common questions regarding brushing your kids teeth. In fact, research has revealed that cacao contains about 70 percent health benefits. It has also been brought to light that chocolate is much less harmful than that of other sugary treats. So let’s now discuss the different types of chocolates available and how much they affect the dental health. 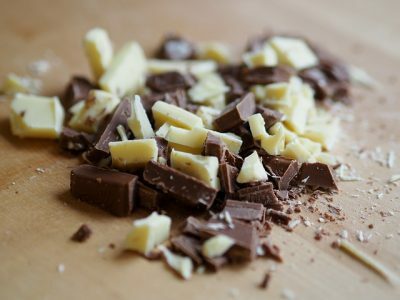 There are primarily three major types of chocolates – milk chocolate, dark chocolate and white chocolate. There are many other types as well but these are the three major ones. Milk chocolates contain very high sugar content level about 70 percent and the cocoa accounts for about 30 percent of the total amount. This actually makes this particular type of chocolate to be not so healthy. Check how to make brushing teeth, fun foe children. Although this consists of a high level of protein because of the presence of milk the high sugar levels make it a very big enemy of the dental system. At the time of eating this type of chocolate the remnants remain on the teeth for a long period of time. The high sugar level makes the remnants react with the saliva and start seeping down into the surface of the enamel. Over time this will give rise to large cavities and if left untreated this can further complicate the issues. This one is another type of chocolate that is extremely common and is much better than the other types of chocolates at least, from the dental perspective. Just like white chocolate this one is made by mixing milk powder, cocoa and sugar. The Cocoa, in this case, takes up almost 70 % of the total ingredient while the rest 30 percent consists of the sugar and milk. This is the reason why the chocolate seems to be dark in colour. As the chocolate contains minimum levels of sugar this one is healthier than the other types of chocolates. Dark chocolate is great for your dental and oral health. The primary reason for this is the fact that it contains polyphenols that helps to fight the overgrowth of any disease causing organisms and bacteria in the mouth. The polyphenols help to kill and neutralise the organisms that can cause issues like bad breath and dental cavity development. 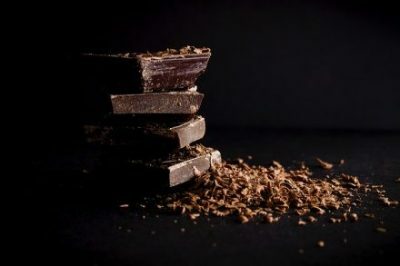 Flavonoids is another ingredient in dark chocolate that slow down the process of tooth decay as they limit the activity of bacteria in the mouth. This is created by combining dark chocolate with milk solids, sugar and adding flavours such as vanilla. It is white in colour and hence the name. This one is one of the most common form of chocolates that is consumed worldwide and hence it is quite fair to try to understand what effects these have on the dental health. Since the chocolate contains more milk solids than cocoa butter, it has relatively high sugar levels and is rich in proteins. The general body health is benefitted by chocolate but the high levels of chocolate can cause dental problems and cavities. From the above discussion it can be said that the real factor behind the relationship between chocolate and the dental health happens to be the sugar content. The higher the sugar content the more dangerous the chocolate is for your teeth. As per research white chocolate has the highest level of sugar content while the dark chocolates consist of the minimum amount. Much to our delight, chocolates are not so bad because they have a number of benefits to offer as well. But most of the reputed dentists and proficient orthodontists will advise you to take chocolates but in limits. This is because you need to consider the sugar content of the chocolates that can have adverse impact on your oral health. So now you can much on your mood-lifters and titillate your sweet tooth with chocolates every once in a while provided you keep the above in mind and know your limits.